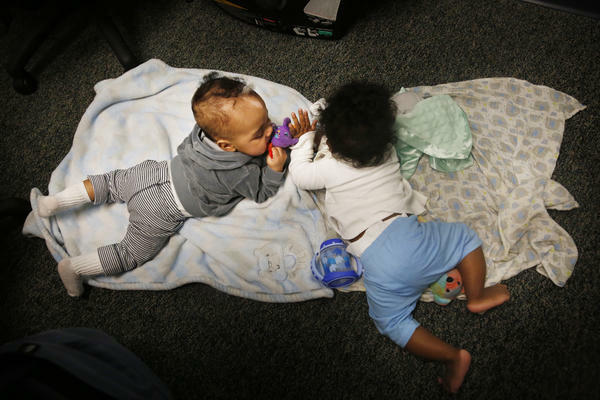 Two babies play during Tara Register's Saturday group for teen moms. "Don't worry if they make noise or cry," she says. "That's OK. They're just being babies!"